Several members of the House Freedom Caucus have flipped their votes to yes on a modified health care bill that could potentially come up for a vote next week. 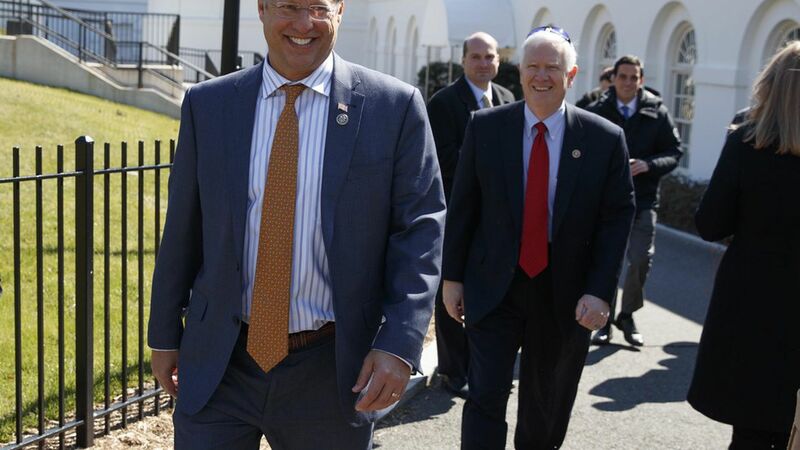 Rep. Dave Brat told Axios the plan "looks good, we like it," and the Washington Post's Robert Costa reports that Freedom Caucus chairman Mark Meadows is on board, as are influential members Jim Jordan and Raul Labrador. The change: The MacArthur Amendment would allow states to waive a set of "essential health benefits" and a ban on charging sick people higher premiums in limited circumstances and if the state has established a high-risk pool. Growing optimism: Majority Whip Steve Scalise told Axios, "it's been very positive so far from most members" and Rep. Gary Palmer said of the 216 vote threshold to pass the bill, "I think we're really close, if not there." Moderates are wary: Rep. Mike Coffman said, "For those of us who were supportive of the last version, we have to pause."